And lucky me because my mom surprised me with this necklace as an early Valentine's gift. Thanks Mommy! This would make a great gift for an special lady in your life or a nice treat for yourself...you deserve it! 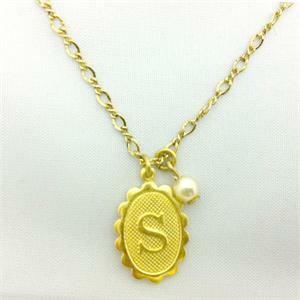 The necklace is very tiny and sweet with a delicate 16 inch necklace. It's perfect for layering, but looks great by itself too. Order online at More Than You Can Imagine! This is lovely piece of necklace. I have to say that you are very lucky that you get such beautiful piece of necklace as a gift. This gold necklace is very petty. I want to see your pictures wearing this jewelry. Thanks for sharing your experience with us.